Pan-Arab TV Network Al-Jazeera is taking legal actions against Egypt over the crackdown after Islamist President Mohammed Morsi was overthrown in 2013. According to its lawyers, the closure of the Qatar-owned broadcast network and the harassments of its journalists has led to $150 million or 138 million euros worth of losses. ABC News reported that Al-Jazeera will sue Egypt through the International Centre for Settlement of Investment Disputes (ICSID) in Washington DC. The media outlet has supported Morsi’s Muslim Brotherhood group after the leader was overthrown in 2013. This prompted Egypt to revoke Al-Jazeera’s credentials, arrest its reporters, and raid its offices. The broadcast network posted a statement online saying, "A large number of journalists working for Al Jazeera were subjected to harassment, arrest and detention, either without charge or on clearly spurious and politically motivated charges." The Express Tribune wrote that the removal of Morsi at the seat of power has lead to a violent crackdown against protesters that caused the death of hundreds of demonstrators. Meanwhile, militants launched a coup that killed hundreds of soldiers and policemen. 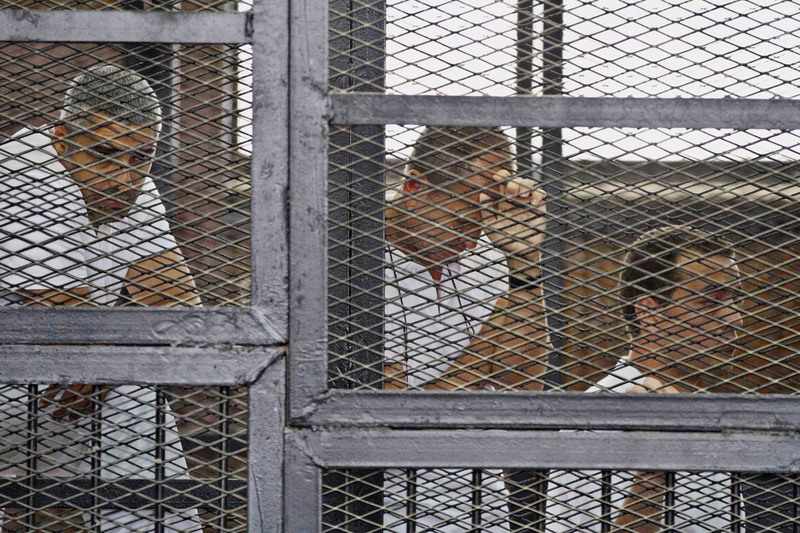 Three of Al-Jazeera’s reporters were captured and detained in 2013. They were convicted of creating "false" news in favour of the Brotherhood. Their trial gained the international spotlight from the United Nations, as well as the White House. Australian Peter Greste, one of the reporters who was convicted was deported, while Canadian Mohamed Fahmy and Egyptian Baher Mohamed were later on pardoned and released. According to The Guardian, Al-Jazeera first expressed its plans to sue Egypt in September 2013. It served an official notice of dispute on Egypt back in April 2014, saying that the 1999 Qatar-Egypt bilateral investment treaty was violated. The treaty required Al-Jazeera to avoid any formal process of arbitration for at least six months to let parties negotiate a settlement. However, Egypt didn’t engage in any negotiations, or discussions. Al-Jazeera has submitted its arbitration request to the secretary general of ICSID, which was registered on January 20.